Hi! 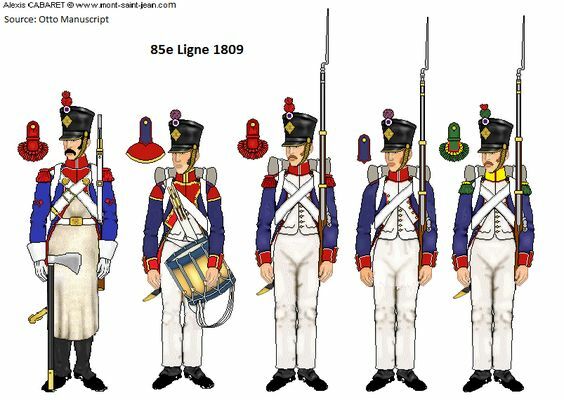 I really like the whole community/regiment aspect of the game, and I though of an idea to further the idea of in-game regiments. There could be an option to choose a regimental number that would appear on your hat, so not only does it add more customization, but it allows people of the same regiment to recognize each other without relying on usernames. It's a pretty simple idea, but one that I'm sure many people would appreciate. 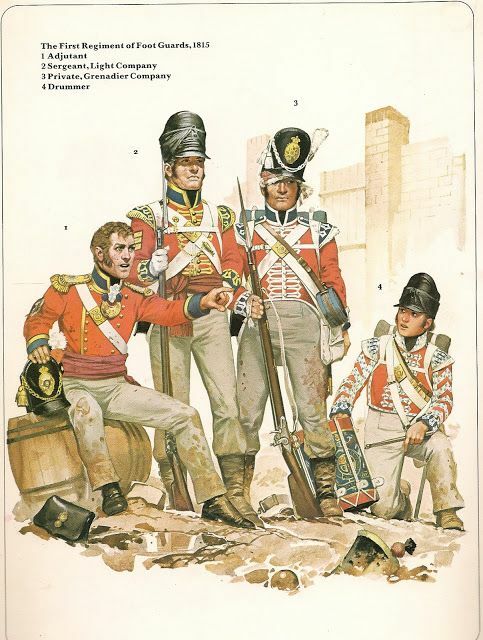 There are regimental numbers on the british shakos in-game (drummer, fifer, and line infantry 23rd) , but they are pretty small and I don't know how practical it'd be for them to make that. What they can do is get rid of the numbers on the shakos and water bottle for all classes then add an option if they UPDATE AN INGAME REGIMENTAL SYSTEM and when you start a regiment or either you can type a number in for the hats and water bottles so when you spawn in it appears on any class you pick. But the 23rd uniforms are specifically that, the 23rd. Different regiments have different facing colours and a centre company of most other regiments would not have the elite wings. Regiments in which all companies have elite wings are mainy fusiliers (like the 23rd) and lights. Those elite wings are because they represent a guard company. lmao... They are not specific to a regiment. The red and white plume used by the line infantry unit indicates that they are from a centre company, and so the wings worn are due to the fact they're a 'fusilier' regiment. There is no such thing as a "guard company" as a distinction within a battalion. There were no 'guard' companies, only flank companies (lights and grenadiers). The term 'guard' is only applied to foot guard regiments, and have nothing to do with fusiliers or any other internal battalion structure. Additionally, I never claimed that wings were specific to a regiment, so you are misrepresenting what I said. The matter of fact is, that all companies in fusilier regiments, even the centre/battalion companies, wore grenadier company distinctions. 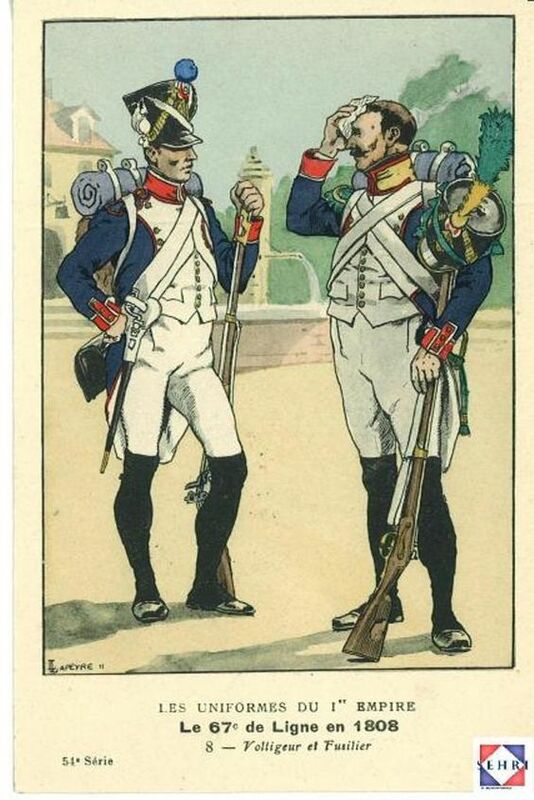 Grenadier distinctions means that they have the wings aswell as a white plume (in contrast to light companies, which wore wings and had green plumes). It is correct that these wings would only be given to 2/10 companies in battalions of a regular regiment of foot. But fusiliers are special. There are always exceptions to the rules in the British army, which is why many regiments were so unique. So, just like highland line regiments had all their soldiers wear kilts, fusilier regiments had all their soldiers wear grenadier company distinctions. This orginates from the fusiliers being raised as the first regiments to receive flintlock muskets. When all regiments started to use this musket, the fusiliers were no more special than any other regiment in terms of equipment. However, they still held on to their tradition of being organised essentially as grenadier regiments in all but name; all of their companies held the grenadier status in terms of uniform distinction. 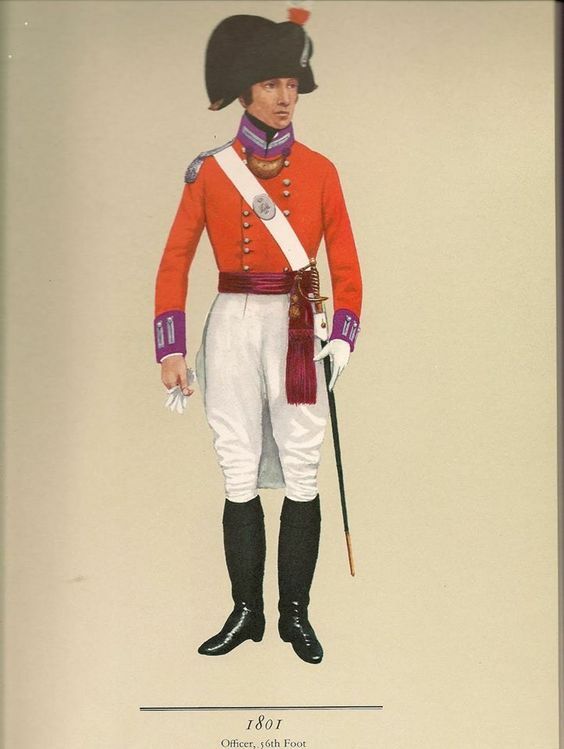 Holdfast is the first case in which I have seen a napoleonic fusilier wear a red-white plume, which was the plume usually worn by centre companies, but not for fusiliers. I have found no material thus far which would indicate that fusilier centre companies would wear the plumes of standard centre companies. Either the developers have found something I don't know about the 23rd, or they might have assumed they would wear the regular plumes. 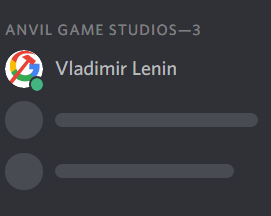 I don't feel qualified to claim that this is right or wrong, though. Nevertheless, as stated, the fact that they all have elite wings is spot on. Even the light company of a fusilier battalion might have worn white instead of the usual green plumes, but I have found no evidence pointing in either direction on this. They also had some other differences such as having Second Lieutenants instead of Ensigns. He might be mistaken by ''Grenadier'' Company as some regiments had a ''Guard'' Company instead. No. There were no guard companies. Guard regiments were full of guards, while all other regiments had none. A guard regiment had a Grenadier and light company aswell. Yes, and all of them were foot guards. The thing here is that grenadiers and guardsmen are not mutually exxclusive. 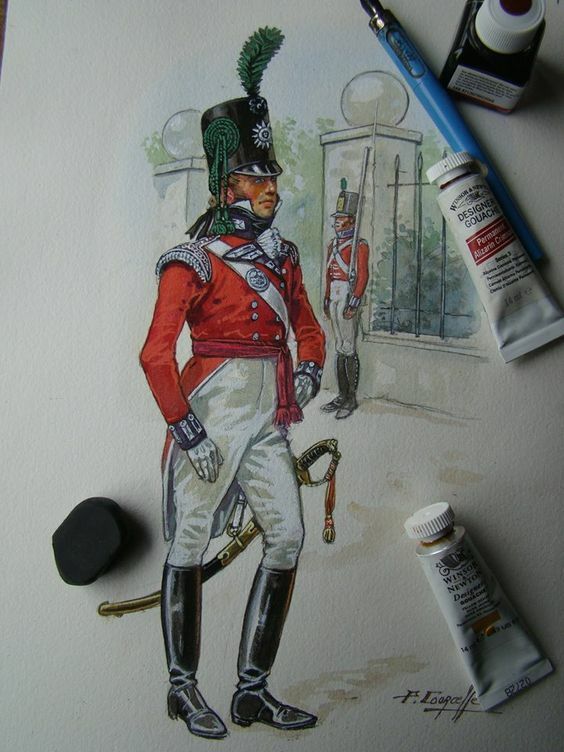 All men in a regiment of guards were guardsmen, but they still had a grenadier company so some of the were grenadiers. They are not mutually exclusive. Using the term guard to refer to company distinctions is wrong. Instead, guardsmen appear on a regiment-wide level, of which some can be grenadiers or even light infantrymen. I'd rather have more regiments properly modeled as well the existing ones being expanded such as the Vistula and 92nd having officers and flag bearers, and musicians at the very least like in NW, we already have musicians from the 67e and 56th West Essex, so why not include those? To differentiate the 67e, model men of other companies than the first. 1st Company Green, 2nd sky blue; 3rd golden yellow and 4th in violet. Although I'd choose the 2nd company like in the print. And if that's not enough give them shako covers, or greatcoats.